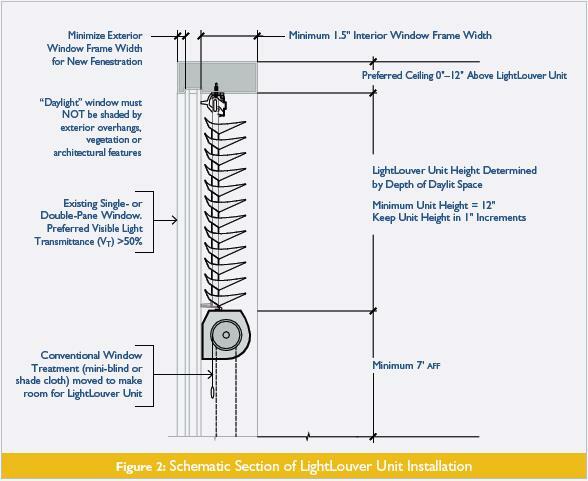 Guidelines for integrating the LightLouver Daylighting System into new and existing commercial buildings are provided below. However, please call LightLouver LLC technical staff for design integration assistance as required. We will be glad to help. Follow the LightLouver Daylighting System Design Integration Guidelines for New Buildings to maximize energy savings and to create an optimal daylighting design solution in a new building. 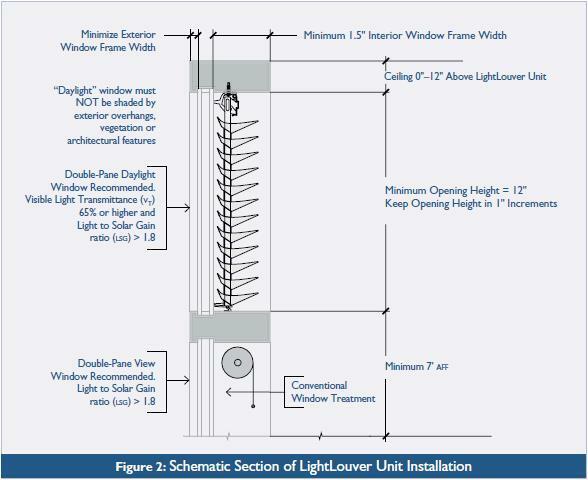 Follow the LightLouver Daylighting System Design Integration Guidelines for Existing Buildings to maximize energy savings and to create an effective daylighting design solution in an existing building.